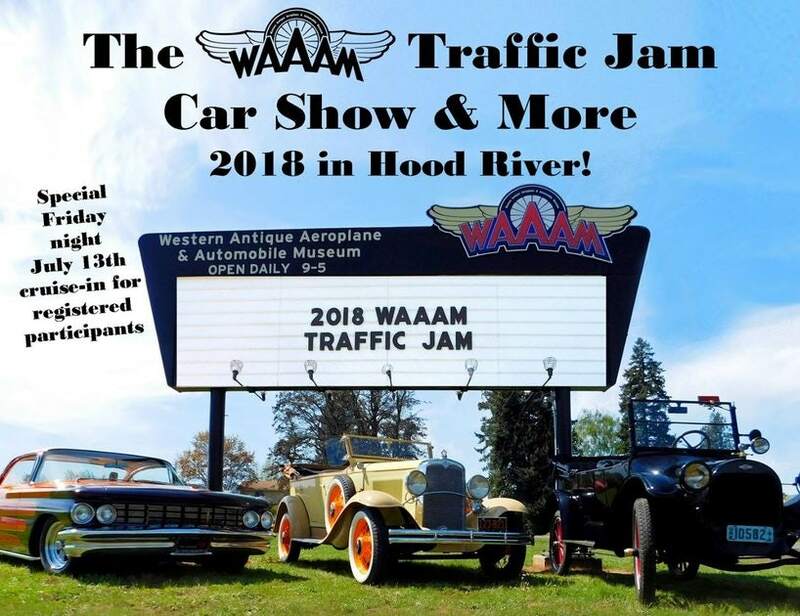 THE WAAM Traffic Jam Car Show & More. July 14, 2018. Hood River, OR. A Benefit for The Western Antique Aeroplane & Automobile Museum. What: Food. Fun. Music. Come to a museum, a car show, and a museum parts swap all in one great place. Don’t miss our Model T Quick Build Challenge and other fun activities such as technical sessions and riding in some historic vehicles. Also, see the vintage kiddie pedal cars and check out the goodies to buy. Your support in this fundraiser helps keep WAAAM's engines running! There is something for everyone.